Families with net adjusted income (Line 236 on your income tax) below the current federal Low Income Cut-Off (LICO) guidelines (see table below) are eligible for funding of up to a maximum of $400 per child per calendar year. 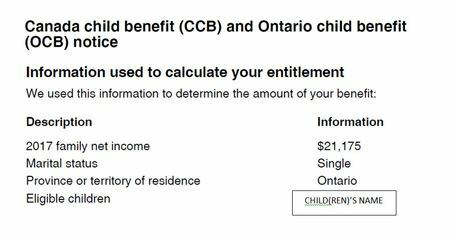 We will need to see your Canada Child Benefit (CCB-OCB) Notice (from the 2017 tax year) which shows your marital status and the number of children in the family to verify family size, as well as your family's net adjusted income (Line 236). If you don't have the CCB notice, then an alternative would be either the Ontario Trillium Benefit (OTB) notice or GST-HST Credit notice. A recent Ontario Works (OW) statement that shows name and monthly amount. For refugees-immigrants, we can accept a Statutory Declaration from Immigrant Services or Settlement Services. If these documents cannot be provided, please contact us to find out what we can accept. Please note: Document size should be less than 8 MB if uploading documents to the online application system or sending to us by email.